Thanks to black sesame, Heugimjajuk 흑임자죽 is best known for its benefits to our health – makes hair healthy and keeps weight off. 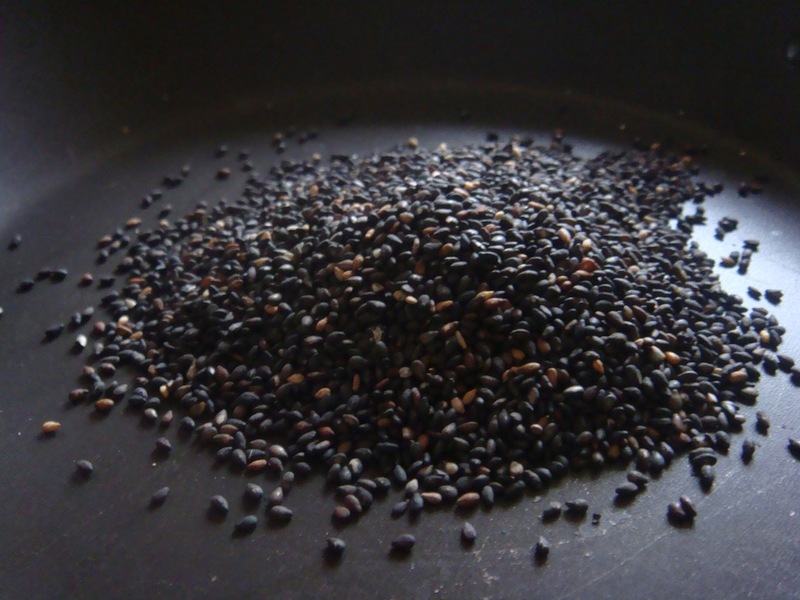 According to Asian medicine, black sesame is bringing vitality back to sick people even from their deathbeds, so if you’re suffering from cold, this is a good excuse for you to try the recipe. And if you’re a fan of black sesame like myself, you seriously have to give it a try! 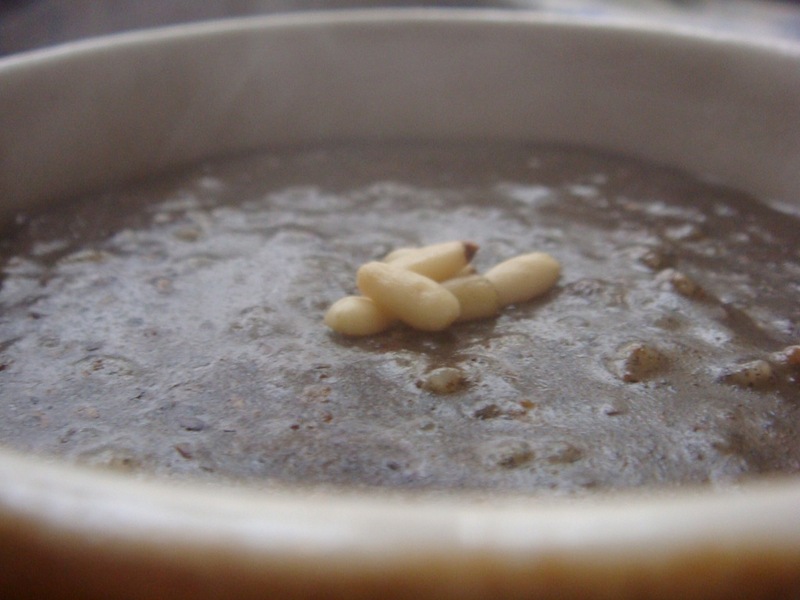 If you’re fond of the flavor of sesame seeds, you will likely go crazy over Heugimjajuk. It tastes great, and the nutritional benefits are an added plus. 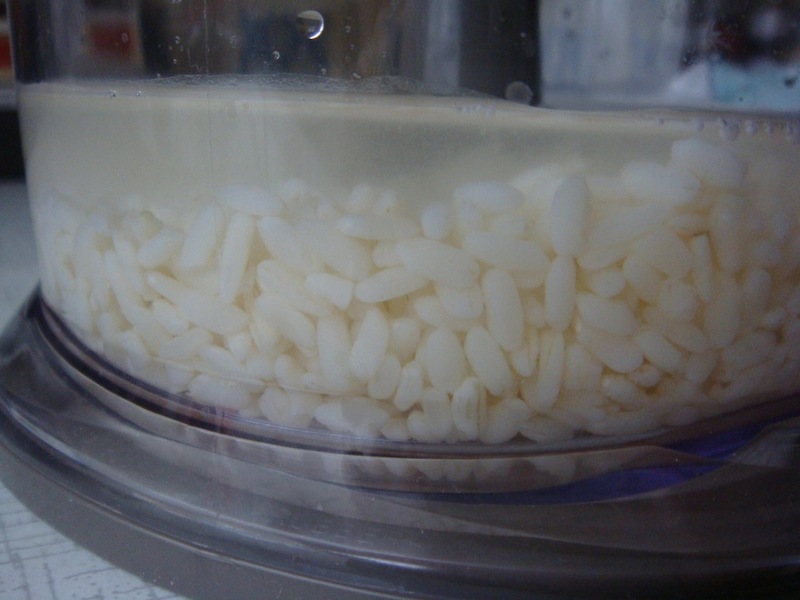 Soak the rice in a cup of water for about 2 hours. Drain water on a strainer and put the rice in the mixer with a new cup of water. Grind it for 2 minutes. Transfer the mixture into a pot and bring to boil, stirring constantly. In a heated pan, fry the sesame seeds for about 20 minutes. Then grind it in a mixer with half of a cup of water for about 2 minutes. When the rice boils, add black sesame, a pinch of salt, lower the heat and let it boil until the porridge is well done. 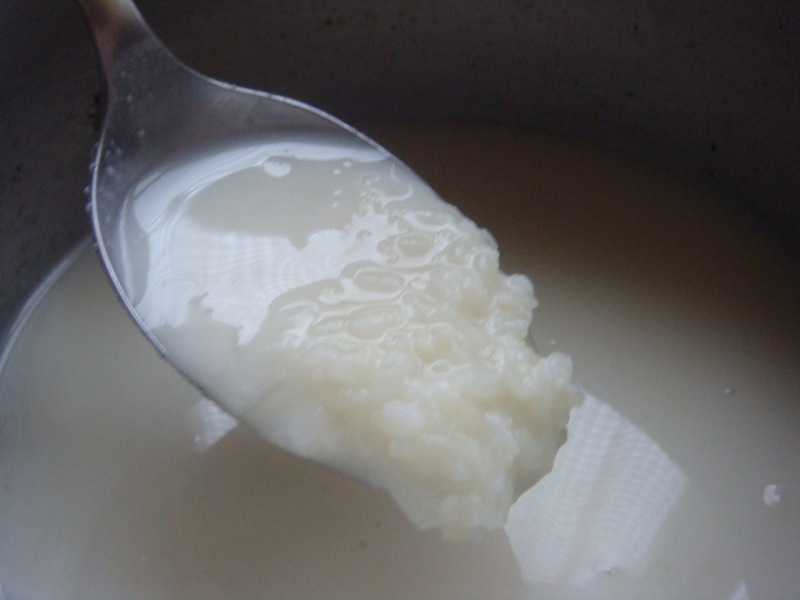 While cooking, you can add some sugar or honey (after the porridge is done), if you want Heugimjajuk to be more sweet.